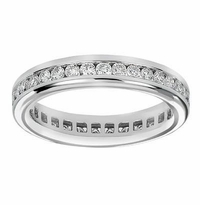 The Ziamond Clearance Eternity Band, Anniversary Band and Wedding Band Sale section includes a wide selection of sought after styles. 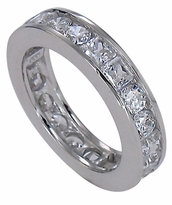 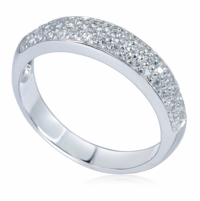 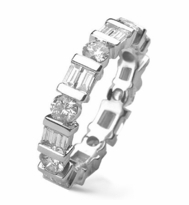 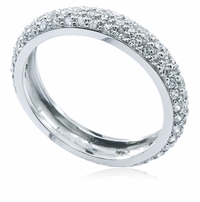 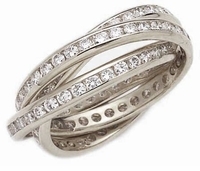 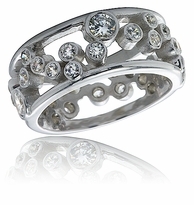 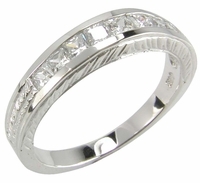 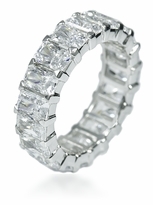 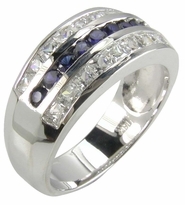 All of the Eternity Bands, Anniversary Bands and Wedding Bands featured in the clearance section are of the same high quality and workmanship as every piece of jewelry we offer and include the Ziamond guarantee and warranty. 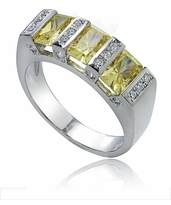 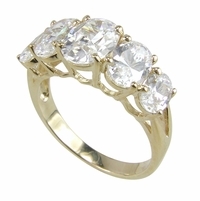 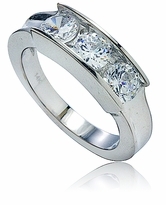 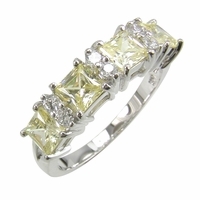 All Ziamond clearance Russian formula cubic zirconia and man made gemstones are hand cut and hand polished and of the same high quality as featured on the regular part of the site. 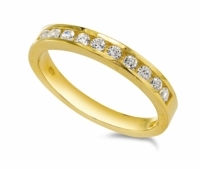 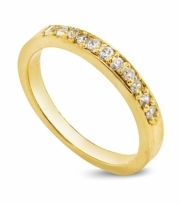 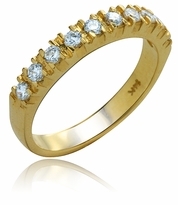 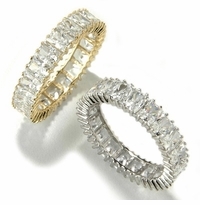 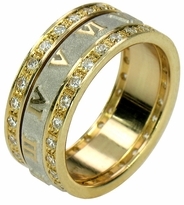 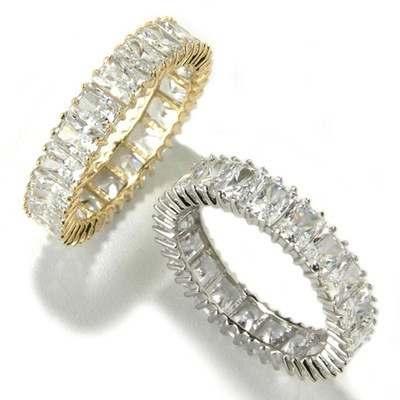 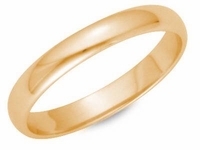 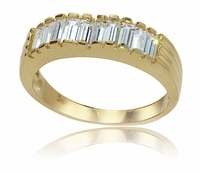 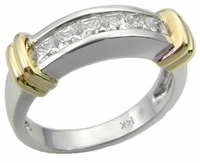 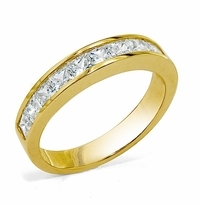 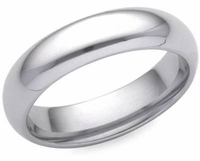 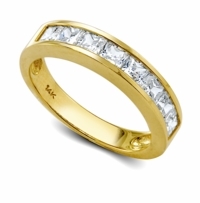 It is simply a place where our customers can reap big savings on a variety of eternity bands, anniversary bands and wedding band styles and designs in 14k gold, 18k gold and platinum. 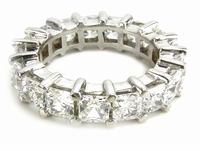 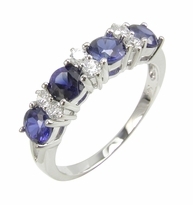 Check this area of our site often for new items at a fantastic bargain. 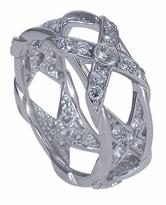 Due to extremely low prices, all clearance sales are final. 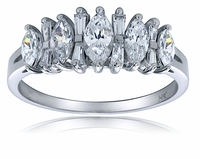 For further assistance, please contact us directly at 1-866-942-6663 or visit us via live chat and speak with a live representative.